If you own or rent older commercial buildings in Hutchinson, KS, you may experience special challenges when it comes to your plumbing. Older pipes, especially those made from polybutylene, make become corroded and start to turn brittle. If they have a lot of twists and turns, you may have more frequent clogs. There are a few things you can do to prevent damage resulting from old plumbing systems. A monthly enzyme treatment can dissolve whatever is clogging your pipes so that water moves more freely through them. You simply pour the liquid enzyme into your drain and let the bacteria go to work. After a period of time, flush the drain with hot or boiling water, and everything should wash right through. If you own a building that was built between the mid-1970s to the mid-1990s, you may have polybutylene pipes. These pipes were popular during this time because they were inexpensive to manufacture and easy to install. Unfortunately, they also react to chemicals in water, making them vulnerable to breakage. The best thing to do is to replace these pipes before they break and cause extensive damage to your building that only water restoration specialists can fix. If your building is a rental, of course, you cannot replace the pipes altogether. 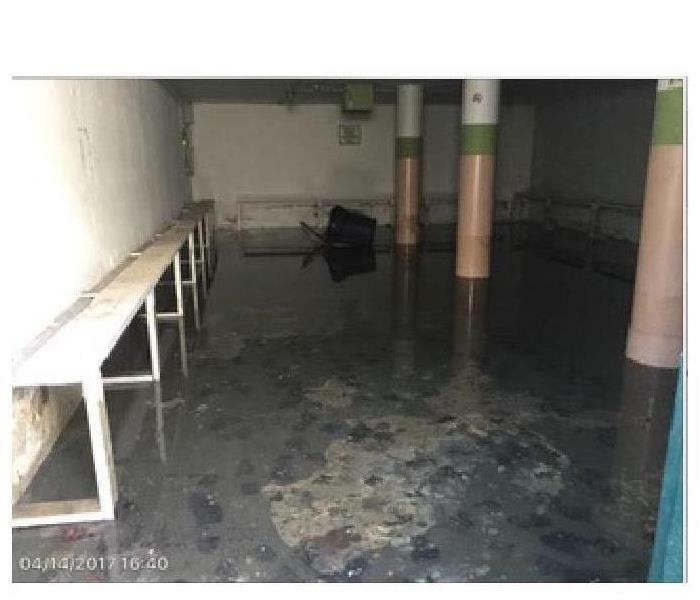 You can protect your property in the building, however, by installing a sump pump in the basement and having various pumps placed on each floor that you use. By making pumps available, you can extract water more quickly, minimizing the damage that a busted pipe may cause. Whether your main risk is polybutylene or frequent clogging, old pipes can cause flooding fast. By taking proactive steps you can protect your property from extensive damage. The upkeep and maintenance of a commercial building in Salina, KS, can be daunting. There is much to consider and monitor, especially when it comes to knowing what might harm your investment. Fungi growth can be especially troublesome, as black mold and other strains can cause serious and long-term damage top building materials and inventory. Taking steps to understand mold and its effects can help you protect your property and prevent business loss. Many strains of fungi, such as black mold, do not require sunlight to grow, which can allow them to spread unchecked in dark spaces and behind drywall. What Types of Damage Can Mold Cause? Because mold can grow anywhere, especially in areas where there is a moisture problem, it can affect a variety of costly building materials. Drywall, carpeting, HVAC components, insulation and even concrete can be damaged. Keeping materials dry and your building’s humidity low can reduce the risk of mold growth. Have water lines and plumbing pipes checked for leaks often, especially if they are located in basements or behind cabinets. What Is Involved in Mold Removal? If you do find fungi in your building, it is best that you leave its removal to a qualified mold remediation and restoration service. Experienced technicians can inspect and identify the mold and then use a variety of special processes to remove it safely. They can also check the rest of the building to ensure the problem has not spread and that no further mold cleanup is needed. Black mold and other types of fungi can seriously harm your Salina, KS, commercial building. 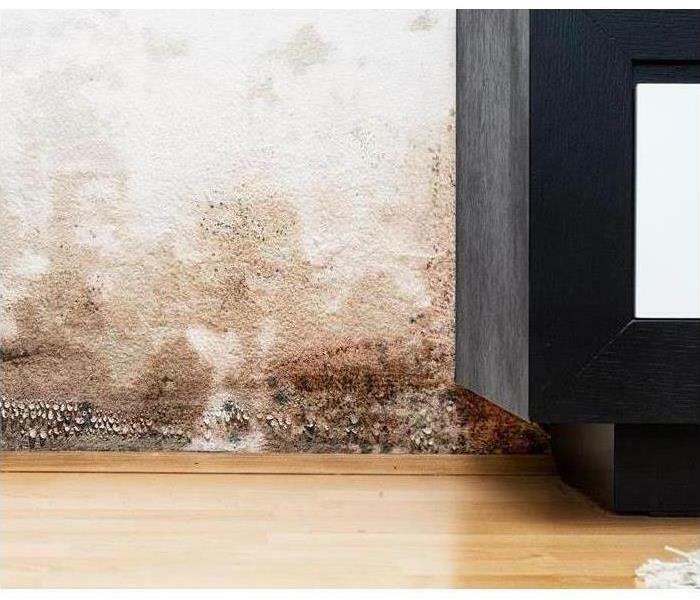 Understanding how mold grows and where it might be found may help you identify issues quickly and contact a professional for remediation services before fungi can take over. 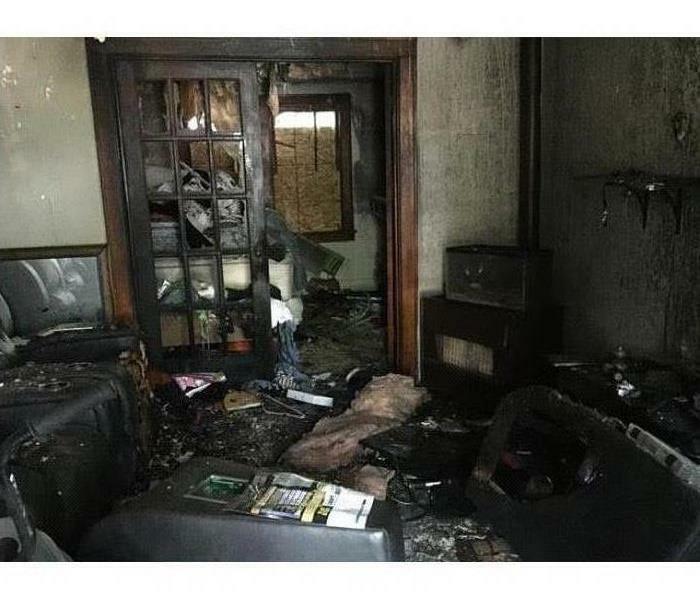 Fire Damage at a local Wichita, KS home. Some people might consider themselves lucky if the biggest issue they have to deal with after a fire is smoke damage. However, this issue can be more serious than you might think. The scent of smoke means there’s still residual soot in the air, which contains carcinogens that can be harmful to breathe. Plus, the smell is just awful. Fortunately, there are several steps regarding smoke cleaning you can take in order to reduce the smoke odor in your home after a fire in Wichita, KS and even make a space odor-free. You’ve probably seen air filtration devices advertised as great ways to deal with allergens. These same devices are excellent for filtering out the agents that cause smoke odor as well. Placing a few (or several) of these devices in the place that’s experienced the smoke damage can help reduce the scent over time. Just remember to keep the filters changed. Ozone machines are designed specifically with odor control in mind. These machines are built to deodorize large areas such as hotel rooms and business offices, so imagine what one could do for your home when you need smoke cleaning. This is a tool commonly used by smoke and fire damage professionals, so you know it’ll get the job done right. Thermal foggers are built to essentially recreate the conditions of a fire by adding heat and pressure to a specified area. However, these machines give off a mist of deodorizing fog rather than smoke. These fog particles are absorbed by porous materials in the same way, however, meaning they seep into to smoke-damaged belongings to replace the unpleasant odor. These are three methods of smoke cleaning that are commonly used by the pros, and for good reason. They’re effective, simple, and get the job done quickly so you can go back to living a smoke-free life. SERVPRO of Northwest Wichita has the training, experience and specialized equipment necessary to restore your home and remove any Smoke Odor left after a Fire. Fire Damage can result from Grease Fire. It may not come as a surprise to learn that the kitchen is the most likely starting point of a home fire. 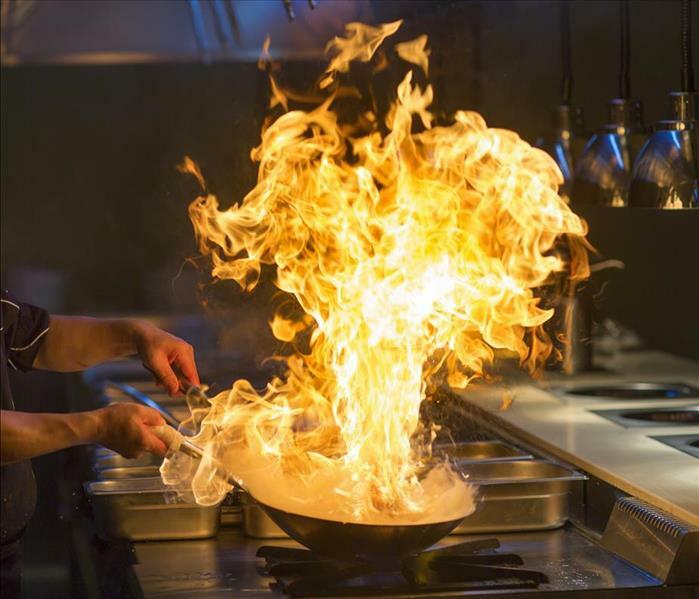 While a grease fire is something many people worry about in Wichita, Kansas there are numerous potential causes of disaster. Fire damage can result from lack of attention, poor preparation or honest, everyday mistakes. Five tips to keep your food-preparation area safer. There’s a reason firefighters and fire recovery professionals constantly discuss the importance of smoke detectors, and that’s because they save lives. Make sure you have an alarm installed near the kitchen; check and replace batteries as recommended by the manufacturer. Don’t wear loose, long sleeves or other clothing that could come into contact with heat sources. Ensure curtains won’t interfere with cooking surfaces, even with windows open. Store potholders, aprons and other cloth items safely away from heat-generating appliances. Keeping your cooking surfaces clean is more important than you might think. Greasy buildup is a potential fire risk, so make sure to clean thoroughly and on a routine basis. The simplest tips are the most important ones to remember: use timers, monitor heated appliances properly and always double-check to ensure that everything’s turned off before going to sleep at night. You never want too many cooks in the kitchen, nor do you want rambunctious youngsters running around near sources of heat. Establish a three-foot space around any cooking area, and make sure kids stay clear. Preventing fire damage in Wichita, KS is largely about planning, especially when it comes to the kitchen. Mitigate your risk of a grease fire or other such disaster by following these handy tips when it’s time to prepare your food-prep area. If you have mold in your home, contact SERVPRO of Northwest Wichita immediately. Mold can invade your Topeka, KS home for a variety of reasons but is especially common after flooding. 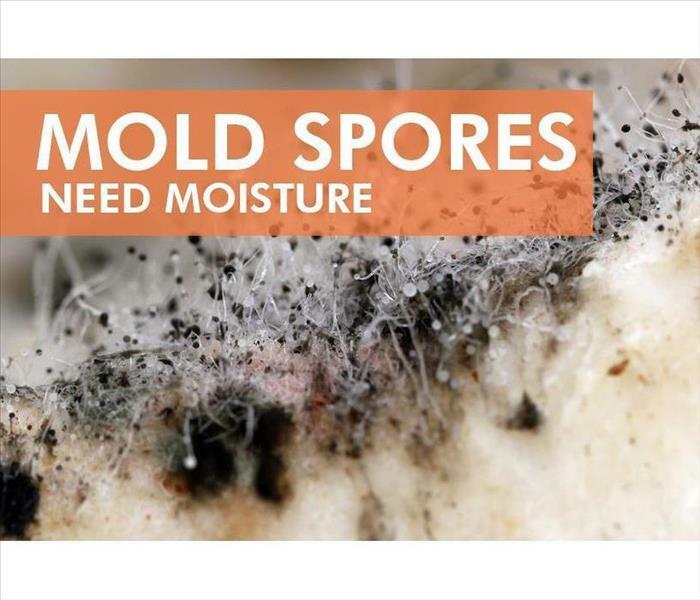 Once mold spores in the air find moisture and a food source, they latch on and can spread quickly. However, using an air filtration system once a flood cleanup and storm remediation company treats your home can trap these spores before they take hold, and knowing which are the most effective can help you make an informed decision about which is best suited to your home's needs. This air purifier uses a certified HEPA filter to capture mold spores as well as pollen, dust and pet dander. This unit may be a good choice for your home if you live in an area with humid summers, as mold tends to thrive in high humidity. The Oransi Max also includes an air quality sensor so you can adjust the air flow as needed. The IQAir New Edition HeathPro air filtration system is a top-rated unit that captures mold particles and other impurities in your home's air. It is especially useful for filtering out fine particles that other systems may not catch. Other features include multiple fan speeds, a programmable timer and a filter monitor. This may be a good choice if you want a unit that saves energy and does not require a lot of manual adjusting. If you want a purifier that removes unpleasant smells from the air and captures mold, this unit may be a good choice. It is also known for its quiet run cycles and its ability to remove bacteria and airborne viruses from the air. One convenient feature you may enjoy is a smart sensor, which adjusts the fan speed depending on the room's air quality. A quality air filtration unit can help keep mold in your Topeka, KS home at bay. Comparing the capabilities of each can assist you in making the best choice possible for your air purification needs and your budget. SERVPRO of Northwest Wichita can answer any questions regarding Mold Spores that need to be removed and Mold Remediation. We have the training and expertise to safely handle any mold situation. SERVPRO provides a claims inventory system that puts relevant information within easy reach. While filing an insurance claim, agents can get a quick estimate, update information, and upload facts to the corporate database. The Claims Information Center offers access to the statistics, facts, and data an insurance agent may need to create an estimate. As a Emporia, KS, agent prepares to file an insurance claim, the professional must verify that all facts are correct, ensure that figures are accurate, and that all the details of the report are reliable. With the SERVPRO CIC, an agent has quick access to an encyclopedic database with past insurance claims and answers to specific questions. The related database, ReportER, is run through corporate headquarters and provides an access point to the inventory center. An agent searching for information would access the CIC through ReportER and then narrow the terms of a search to find accurate and recent information to help with outstanding claims. An attractive and innovative dashboard design provides quick and convenient access to the database and the SERVPRO Claims Information Center. With so many resources right in front of them, agents can more quickly and easily complete their work. The process of working through an insurance claim isn't easy for Emporia, KS, property owners or for the agent, but access to current, accurate information can simplify the process. The CIC system provides the agent with the ability to thoroughly research facts and figures for a current claim or verify information to ensure reliability. These claims inventory resources help to simplify and streamline the claims completion and tracking process. Sewage damage can have a devastating impact on your home in Hutchinson, KS. It’s common to feel stressed after this type of damage has occurred, but you may feel reassured knowing what steps occur in the sewer cleanup process. 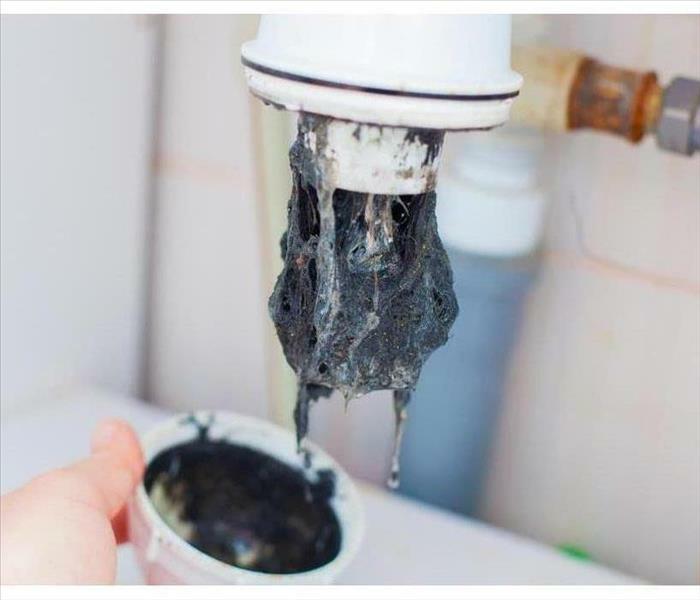 Sewage damage can be caused by a myriad of reasons, and in order to properly clean the home, it’s important to first understand the cause of the issue. 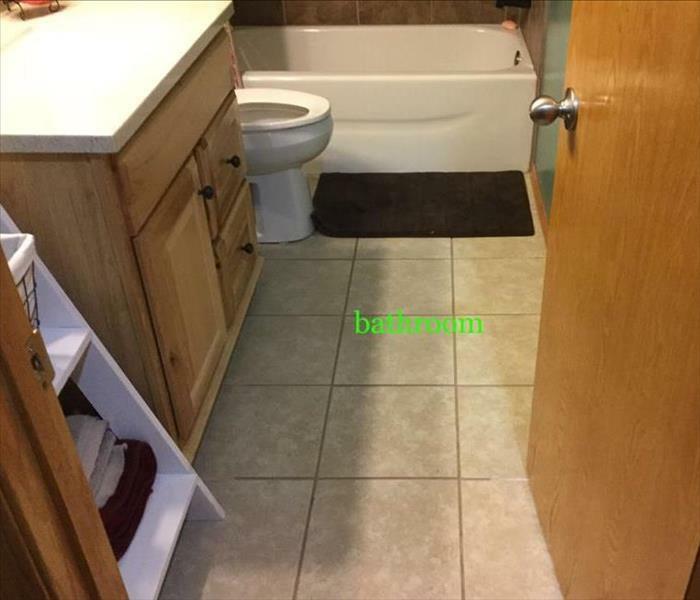 Often, a flooded toilet or a sewer backup are causes of sewage damage. While some issues are relatively easy to fix, others may take more time. However, once the problem has been identified, the flow of water can be stopped, which will prevent further damage. Regardless of the cause of the damage, it’s important to know what damage has occurred and to what degree the water is contaminated during the sewer cleanup process. Knowing where the damage has occurred will make it easier to know what to prioritize. Water that comes from a clean source and that isn’t left standing can be removed with relative ease, whereas water that is contaminated with hazardous materials must be removed with caution. Often, it’s helpful to have water damage cleanup professionals make these assessments. Once the cause has been identified and the damage and type of contamination has been identified, the process of cleaning really begins. Water is safely removed from the home and individual items are sanitized. In order to remove any odors in the home, air scrubbers may be used. If structural damage has occurred, the work of restoring your home to its original state will begin. Finding the cause of the issue, assessing the affected area and the water and cleaning and restoration are all important steps in the sewer cleanup process. Knowing what is involved in the cleanup can make you feel more at ease as your home is restored. 1. Goggles. Many technicians will wear goggles to keep dust and other particles out of the eyes. These goggles will never have ventilation holes, as these can be a safety concern. 2. Disposable clothing. This will be seen quite commonly when extensive mold damage is present. Such clothing helps minimize physical contact with dangerous substances and makes for an overall safer cleanup job. 3. Respirators. Respirators are special face masks that prevent cleanup crews from inhaling irritating particles during remediation. Workers should always be wearing respirators approved by the National Institute for Occupational Safety and Health, and they should always wear the type of respirator that is appropriately protective for the job at hand. 4. Gloves. As you may imagine, gloves help protect workers’ hands from cleanup chemicals and other harsh substances while performing cleanup duties. Most workers will wear long gloves that reach to the mid-forearm, and the material will vary depending on what the technicians are handling. 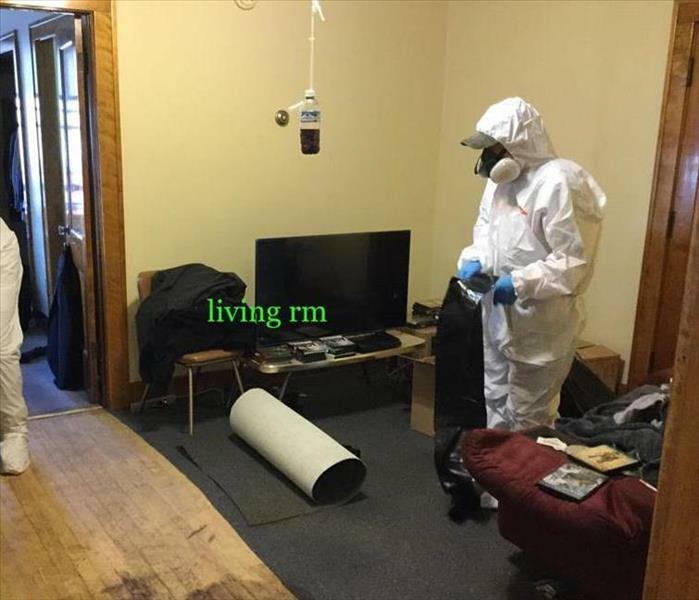 As you can see, protective cleanup gear is more complex for workers than just strapping on face masks, especially when they are dealing with a tricky mold remediation situation. If you ever have any questions about cleanup before, during or after the process, do not hesitate to ask the trained professionals who are working to restore your property. Chances are that they have gone through similar situations many times before and have answers to all of your questions. As a home insurance agent in Topeka, KS, claims tracking is not always the easiest of tasks to accomplish in a successful way. With so much damage information and financial data to keep track of, it can be difficult to always keep abreast of a claim and not miss any important details. Fortunately, the SERVPRO claim inventory system can help you keep track of your next insurance claim with more ease and greater detail than ever before. This residential damage company is proud to offer the Claim Information Center (CIC) to insurance agents working on a residential damage claim. The internal system updates claims information in real time as the estimate is updated. The Corporate database, ReportER, then migrates the information to the user-friendly Management Dashboard for agent or adjuster review. You can also use the CIC system to compare the insurance company’s claims to national or regional claim results so you can see how your agency is performing compared to other leaders in the home insurance industry. You will quickly see what a difference SERVPRO can make for you, your insurance clients and your agency. SERVPRO understands the important needs of both insurers and homeowners during the insurance claim process. That is why they offer resources that can help both after a water-, fire- or mold-related disaster. Choose them as your damage assessor for your next claim and see why they are a “Preferred Vendor” for most insurance agencies. Owners should perform roof inspections. Most business owners would rather spend time worrying about strategy and promotions rather than property inspections and maintenance issues. However, if neglected, small problems can turn into big issues. For instance, a small roof leak can lead to mold and even potential collapse if not remedied. To prevent this, owners can perform simple inspections that are meant to find small areas of concern before a disaster occurs. Wind damage is a common cause of flashing and sealant issues. In strong storms, the flashing can be pulled away from the sealant which will eventually lead to leaks. When inspecting your roof, look for areas where the flashing has been torn away and be sure to reseal these areas promptly. While puddling doesn’t necessarily mean that you have a roof leak, it is likely the step before it happens. Puddling occurs when there are issues with the sheathing. It is possible that sheathing bows due to age, but water damage is also a contributor. If you see standing water on your roof, it may be a sign that you need professional assistance. 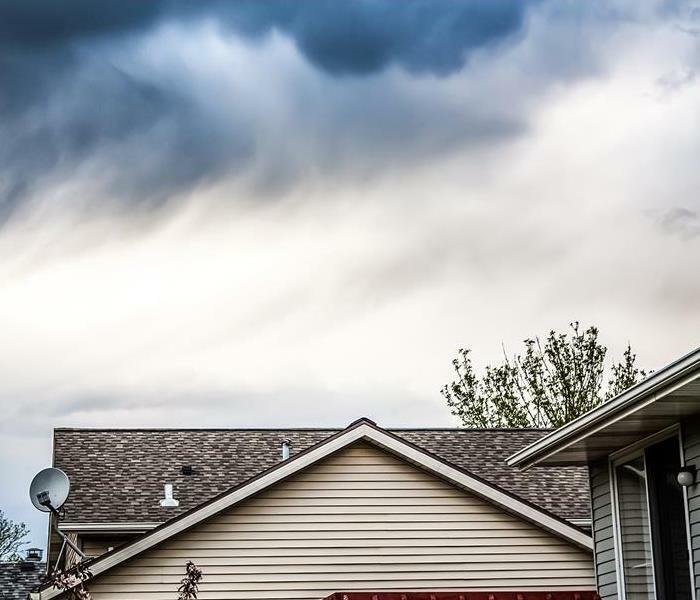 When walking your roofline, be on the lookout for bubbling. If you see bubbles, it likely indicates that there is a weak or old seal somewhere close. Tiny air bubbles mean that water is seeping beneath the shingles and possibly beneath the underlayment. If you have significant concerns, you can contact a disaster remediation specialist in the Wichita, KS area to seek further assistance and possible solutions. These companies have a lot of experience in water-related issues and can help. A roof leak can evolve into a detrimental problem for a business of any size, but it is a problem that can most often be avoided by vigilant and routine inspections. Keep an eye out for damaged flashing, standing water and bubbling so you can attempt to rectify a problem before it becomes a full-blown disaster.